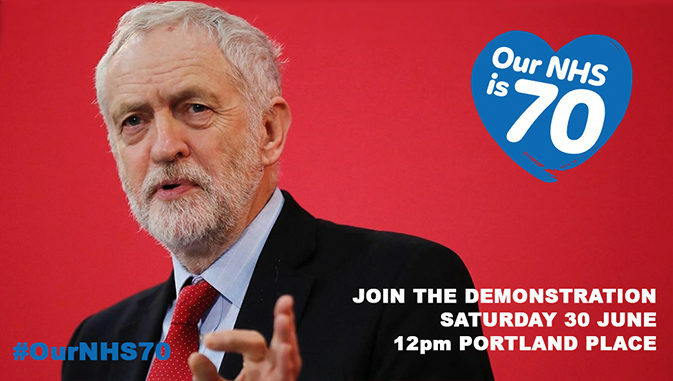 This Saturday in London, I will be joining Health Campaigns Together, The People’s Assembly Against Austerity, the unions, doctors, nurses, campaigners and tens of thousands of others at Our NHS at 70 march. Last week, the government finally announced some more money for our health service. But you know what? It’s simply not enough. Not enough to make up for the last eight years of slashed budgets and worsening standards, falling morale and loss of staff. In fact it would barely keep the NHS at a standstill. I hope you’ll join us on Saturday to stand up for our health service and its incredible staff who have carried our NHS on their shoulders these last eight years, while the Government brought it to its knees. Be there on Saturday 30 June – 12pm Portland Place, London W1A 1AA.